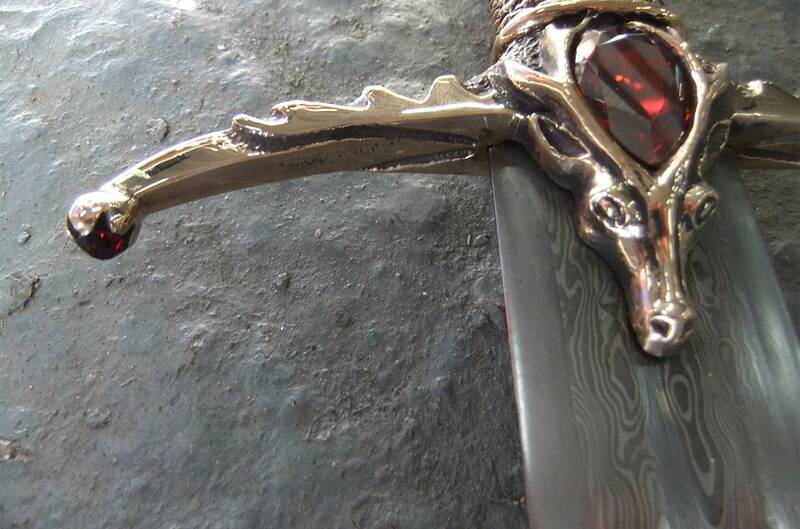 At Bronze Art, we have cast various sword parts and props in bronze for the HBO series GAME OF THRONES. We are lucky to have been asked to work with the talented team at Fire and Blood productions led by Tommy Dunne at the Armoury Department in Belfast. Usually Tommy would provide us with a finished prop ready for moulding and then casting into bronze.These hero props are usually sent back to the armoury department where jewels are set and final weathering is done. We have also fitted the blades for the armoury department in the past which included the amazing Damascus steel blades of “Oathkeeper” and “The Widows Wail”and done full finishing on some items. In the past few years we have been lucky to have been involved with the actual design and original prop making. Below there are whips that we did for Season 4 where we were asked to model up from the designs given,a version of the whips which could be used on screen. Unfortunately our version did not make the cut but we feel if was great to have been inviolved in this part of the design process on such a worldwide epic TV series. 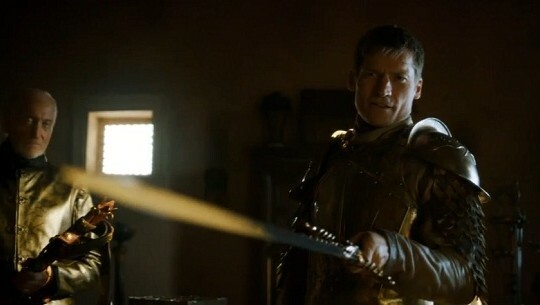 Jaime Lanister’s “Oathkeeper” sword which was passed to Brienne Of Tarth, Joffrey Baratheon’s “Widow Wail” Sword, Daario Naharis’s Bronze Handle Sickle and Knife from Season 3. The Sword of Roose Bolton for season 4, a copy of Longclaw for Season 2 & 3 as well as various component parts for generic swords. For Season 5 we did the whips, daggers and spear tips for the “Sand Snakes”all of which were cast in bronze. Coming Soon some really nice pieces from Season 6. Below is an article that was written by BBC about our involvement in the series.